This game is super addicting. You advance through the levels while training your ninja. There are punching bags, trampolines, balloons, and watermelons involved. Not only are the characters ridiculously adorable, but it’s oddly satisfying to punch and kick things with miniature ninjas. This app is my life. I discovered it over a year ago and haven’t gone a day without using it. You can edit photo’s, draw, color, and connect with other artists. If you want to post your creations, you can create your own gallery (page) and build a following. The community of artists and photographers are so inspiring and kind. It’s my favorite app to get lost in while on edibles. 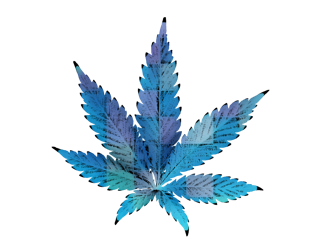 Connect with all your fellow stoners on this social network app. This is your (privacy protected) haven for all things weedy and green. Promote your business, shop, meet like-minded people, and learn new things about your favorite plant and strains. This app is a pleasure for all people, but I have to think stoners appreciate it the most. A typical scenario for us is getting blazed and being unable to drive. No longer is pizza delivery your only option. For a small fee you can satisfy that intense craving for Italian, Thai, or even donuts. Place the order, pay, and before you know it your food is at your front door. This app is sent straight from heaven and I would kiss the creator if I could. This is a fun way to personalize your text messages. You can drop emoji’s, stickers, strain info, and weed graphics straight into a text box. No more settling for the hidden meanings in regular emoji’s. Be a proud stoner and spice things up! -Thanks for reading and let me know if I am missing out on any other stoner friendly apps!